This soft and attractive bib will help keep your little baby clean during those accidental spills. 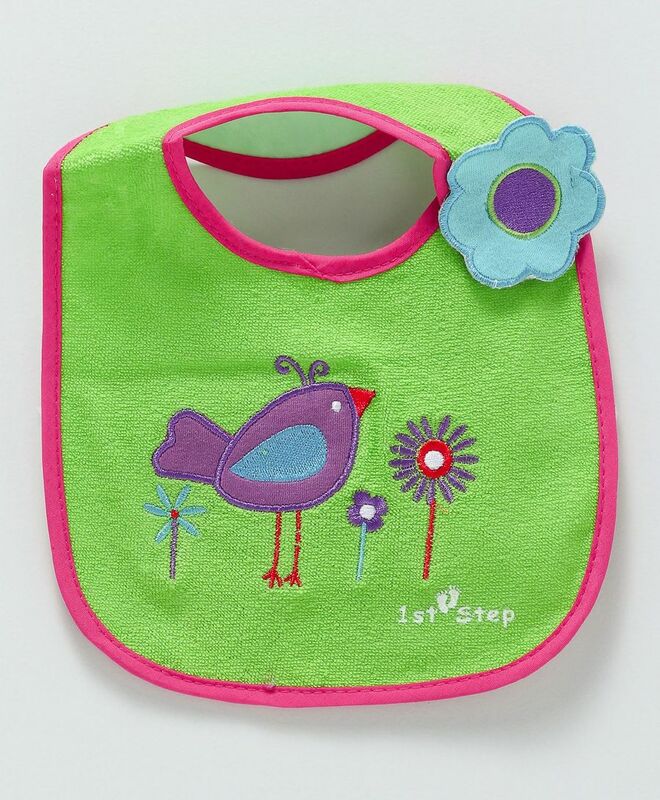 The bib comes with an easy Velcro closure which makes it comfortable and easy to wear. With attractive prints and appliques on the bib, it will look just adorable on your little one.